Wolf-Garten Cord Tidy from the popular Multi-Change® inter-locking tool system, is specifically designed for connecting to an array of telescopic long length Multi-Change® Wolf tool handles and tree care equipment. 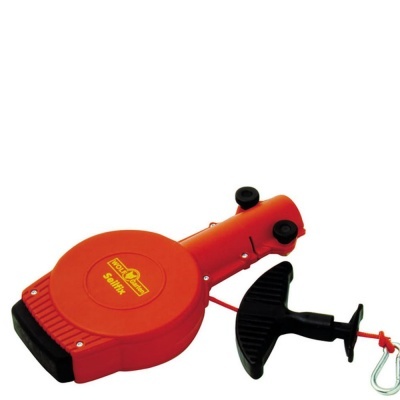 Wolf Cord Tidy attachment aids gardeners when cutting in tall trees, due to the automatic rope tensioner, making ladder-free tree care more comfortable. Wolf tools represent high quality engineering and supplied with a 10 year guarantee.